Money was high on the agenda as the new year began with the Post&apos;s annual run down of the region&apos;s wealthiest proved popular online. The Birmingham Post Rich List is an annual list of the 50 richest people in the Midlands region, compiled by the newspaper with help from experts. The list was compiled from publicly available information on personal wealth and other known earnings of people who either live and/or work in the Midlands, or who have major business interests in the region or have spent most of their lives here. A Balsall Heath pub offering the ultimate pint and a curry was named the best in Birmingham. The Old Moseley Arms, tucked down Tindal Street, beat hundreds of others to be named Pub of the Year by the city&apos;s branch of the Campaign For Real Ale. The annual awards rated the backstreet pub, known locally as The Old Mo, in pole position, followed by Digbeth&apos;s The Lamp (which has its own microbrewery) and the Grade II-listed Craven Arms in Upper Gough Street. Landlord Sukhi Rai, who took over the The Old Mo 16 years ago, said: “We&apos;ve never been shortlisted before, so this is absolutely brilliant for us. It really means a lot." Visitors to Birmingham city centre saw the giant John Lewis taking shape on Hill Street as part of the New Street Gateway development. 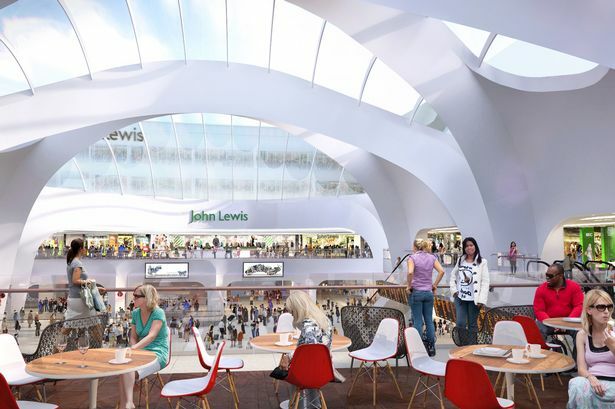 The 250,000 sq ft st store – one of the largest shops outside London – will feature more than 350,000 products. Coming against a backdrop of tough times in the retail sector it will provide a huge boost to city centre footfall when it opens in September. A plan to re-open a 170-year-old railway line to form a link with high speed rail and Birmingham Airport gained Chinese backing. China Railway Group confirmed interest in rebuilding 7.3 miles of the Stonebridge Railway east of the city to link directly into the proposed HS2 Birmingham Interchange station. The line last carried passengers 97 years ago. The scheme would cost up to £280 million and the Chinese firm said it was prepared to finance it. The proposals would mean a return for a route originally opened in 1839 between Hampton-in-Arden, near Solihull, and Whitacre Junction, in North Warwickshire, which closed in the 1930s. Up to 90 barristers, some in full legal attire, protested outside the entrance to Birmingham Crown Court amid a growing war of words over the future of the criminal justice system. Trials were delayed and cases put back as QCs withdrew their labour over government plans to cut £220 million from the annual legal aid budget. The leader of the Midland circuit, Mark Wall QC, said many barristers on less than £30,000 a year would quit if the cuts went through – and said an average salary of £56,000 cited for criminal lawyers was misleading. The Snowball 2013, organised by Property for Kids, saw more than 300 people from Birmingham&apos;s business community gather at The Jam House in St Paul&apos;s Square to enjoy live music from Ohio and Hot Property, whose band members all work in the property industry. Guests each brought a gift to the event, which were donated to Birmingham and Solihull Women&apos;s Aid. The event also raised more than £1,100 for the Property for Kids charity. Readers of the UK&apos;s leading architecture magazine have voted the Library of Birmingham as their building of the year. In an online vote, Architects&apos; Journal readers overwhelmingly selected the £188 million library in Centenary Square as their favourite building of 2013. Further jobs misery came the way of staff at the HMV store in Stratford-upon-Avon, which closed. The Warwickshire outlet was among new store closures ordered by HMV owners Hilco, which continued its attempt to turnaround the entertainment chain after snapping up the cash-stricken retail icon last April. Soaring television revenue placed the West Midlands&apos; two Premier League football clubs will be among the 40 richest in the world next year. Aston Villa and West Bromwich Albion were among the top 60 highest revenue-earning football clubs in the world, according to the Deloitte Football Money League.